Individuals show consistent differences in their approach to novel tasks (i.e., “cognitive syndromes”), whereby “fast” individuals are bold and solve new problems quickly compared to “slow” individuals. While a “fast” approach can be advantageous in some situations, these individuals are often more likely to make mistakes and subject themselves to greater risk, including from predation. What is unknown is how these tendencies impact survival in environments where humans constitute a predatory risk (such as the case of fish targeted by commercial or recreational fishing). To address this gap, we assessed learning performance in 60 largemouth bass Micropterus salmoides using an active-avoidance task that required fish to learn to associate a conditioned stimulus (overhead light) with an unconditioned aversive stimulus (chasing with a net) to successfully shuttle through a small opening to a safe area of an aquarium. These same fish were also tested for proactivity in a restraint test (frequency of leaping to escape a net out of water) before being subjected to angling trials in a naturalistic pond setting. Performance on the active-avoidance task was positively associated with angling vulnerability, as individuals captured by anglers also successfully shuttled on nearly twice as many trials as uncaptured fish. Proactivity was not associated with angling vulnerability or learning performance. These results indicate that a fast cognitive strategy may be maladaptive for fish populations subjected to angling. In addition, because cognitive performance is heritable, fisheries selection based on cognitive traits could cause an evolutionary shift toward slow learning strategies in exploited populations. Individual behavioral and cognitive traits can be linked with fitness, especially in human-altered environments. For many freshwater fish, recreational angling by humans poses a major threat, with some individual fish being more vulnerable to capture than others. However, no work has defined whether cognitive traits are linked with an individual’s vulnerability. To address this, we conducted a study examining if learning performance is linked to angling vulnerability in largemouth bass, a popular sportfish species. 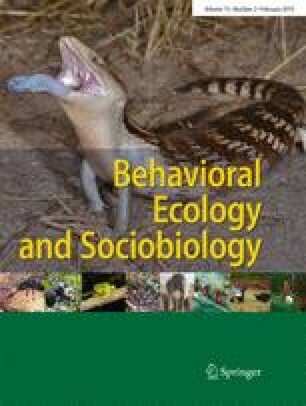 We found that fish that learned to associate a light with a negative stimulus (chasing with a net) and successfully avoid chasing were more likely to be caught in an angling trial. This means that, for targeted species, a fast learning strategy is disadvantageous, and that heavily exploited populations could experience evolutionary shifts toward slower learning speed due to the selective capture of fast-learning individuals. The authors of this paper acknowledge Justin Rondón, who assembled the arena setup for this study and assisted with data collection during the active-avoidance learning task. The authors also acknowledge Lisa Mitchem, who provided helpful feedback and assistance during the planning of this project. The authors also thank the two anonymous reviewers who provided comments that resulted in substantial improvements to the manuscript. This study was funded by a grant through the United States Fish and Wildlife Service’s Sport Fish Restoration program; project F-69-R to J.A.S. This work was supported by Federal Aid in Sport Fish Restoration Project via the United States Fish and Wildlife Service, project F-69-R to J.A.S. All experimental procedures were approved by and conducted in accordance with the University of Illinois Institutional Animal Care and Use Committee (IACUC), protocol no. 17065. All aspects of the manuscript were produced by the authors, with no permission needed for any material from other parties.